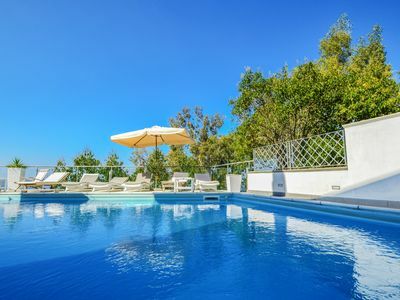 VILLA TERRI is a wonderful villa on two levels with an incredible sea view overlooking Capri and the Gulf of Naples. 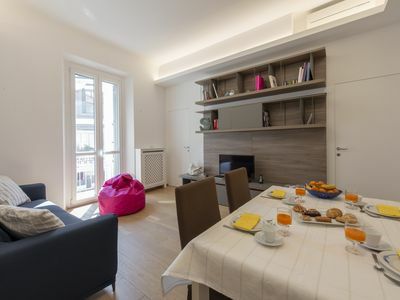 It is 250 square meters and can accommodate up to 12 people. There are 3 bathrooms, air conditioning, heating, Wi-Fi and private parking. 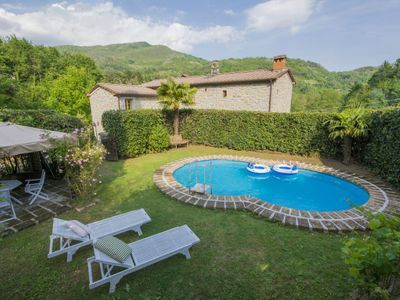 The villa has a private pool and terraces, all with spectacular views. 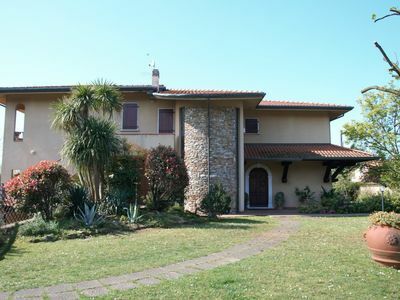 Villa Terri is a seaside villa, with various private terraces and swimming pool that offers maximum privacy. 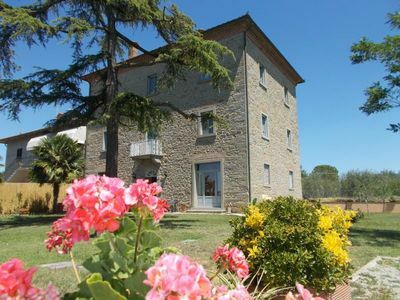 It is located on the road that descends from the center of Massa Lubrense towards the sea and the Marina della Lobra beach. It has several terraces equipped with tables and chairs where you can organize lunches and dinners outdoors or simply relax. 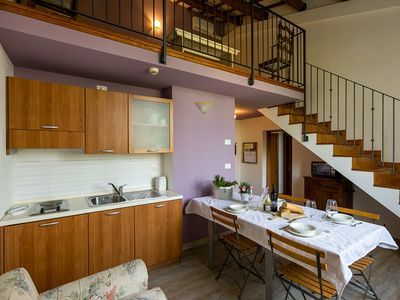 Villa Terri is 700 meters from the center of Massa Lubrense where you will find shops, restaurants, the supermarket, bars and the SITA bus stop. 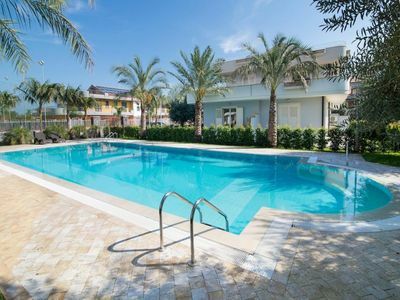 Marina della Lobra is a small and picturesque fishing village where you will find the beach, a small port, shops, bars and excellent restaurants. 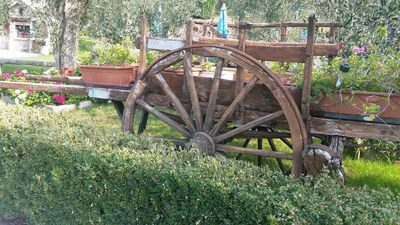 The villa is about 5 km from Sorrento. 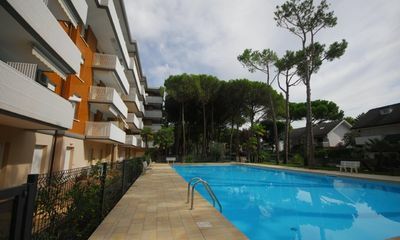 THE BEACH of Marina della Lobra is about 300 meters away. 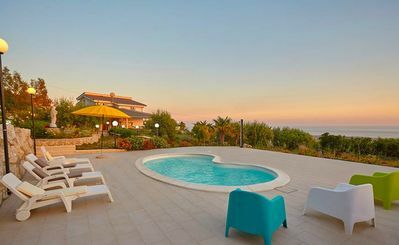 It can be reached from the villa via a private descent of about 100 steps and along the pedestrian path along the sea, ideal for walks in the moonlight. 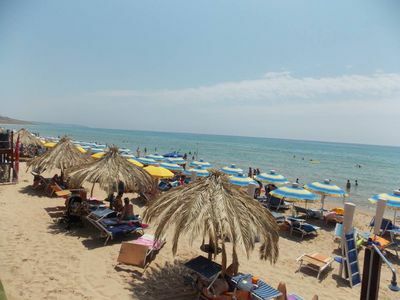 Near the beach you will find seaside restaurants, the picturesque small port and various tourist activities. 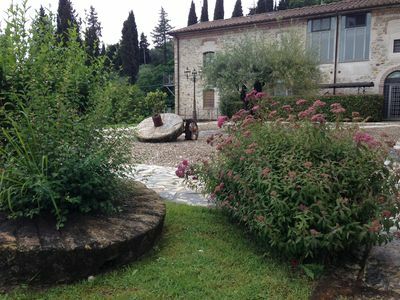 To stay comfortably in Villa Terri we recommend that you have a car available. You can park it in a reserved parking space (2 cars). 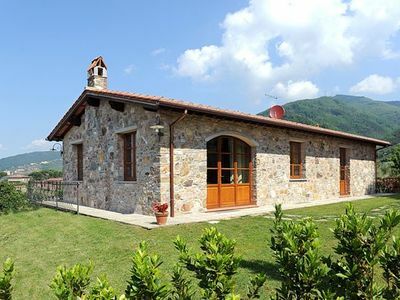 You will reach Villa Terri from the main road by an electric gate and going down a private road of about 300 meters. To be taken into consideration that the descent is steep. It is possible to book the porterage service on request upon arrival and departure. THE PRIVATE TERRACE has a spectacular view and is on the same level as the swimming pool. Umbrellas, sofas, armchairs and loungers are arranged around the pool and offer a relaxation area to enjoy the sun. THE POOL has a sinuous shape, it is 5.50 x 6.50 square meters and from 1.20 to 2.20 meters deep. It is open from April to October. It can be accessed from the main entrance of the villa as well as from the kitchen and living room. THE STAY is spacious and bright. It has large windows that offer a breathtaking view of the sea. It is furnished with a single sofa bed, a sofa and armchairs, a television, a table with chairs for 12 people and a fireplace. 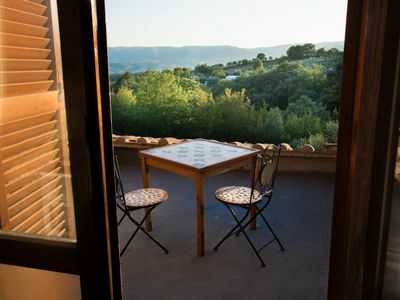 The room has air conditioning, heating and WI-FI internet access. THE KITCHEN is equipped with four gas burners and two electric burners, a refrigerator with freezer, a dishwasher, an electric oven, a microwave oven and a fryer. Here you will also find the laundry with the washing machine, iron and ironing board at your disposal. THE FIRST BATHROOM is a service bathroom. It is equipped with a sink, toilet and bidet. In the corridor you will find a single sofa bed. THE FIRST BEDROOM has a double bed, heating and a fan. 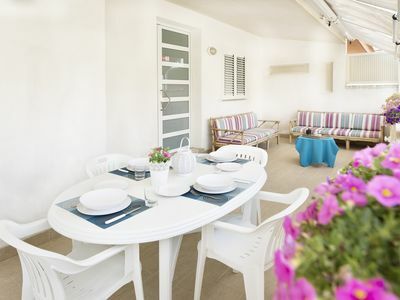 From the bedroom, you will have access through a French door to a nice terrace overlooking the sea. THE SECOND BEDROOM has a double bed, air conditioning and heating. From the bedroom, you will have access through a French door to a nice terrace overlooking the sea. THE SECOND BATHROOM is equipped with a washbasin, a bath with a shower, a toilet and a bidet. You will reach the bathroom from the corridor. THE THIRD BEDROOM has a double bed, air conditioning and heating. From the bedroom, you will have access through a French door to a nice terrace overlooking the sea. THE FOURTH BEDROOM has two single beds, air conditioning and heating. From the bedroom, you will have access through a French door to a nice terrace overlooking the sea. THE FIFTH BEDROOM has a double bed, air conditioning and heating. From the bedroom, you will have access through a French door to a nice terrace with a view of the sea. THE THIRD BATHROOM is equipped with a washbasin, a bath with a shower, a toilet and a bidet. You will reach the bathroom from the corridor. - For arrivals after 8.00 pm an extra charge of 60.00 euros will be applied to be paid upon arrival. 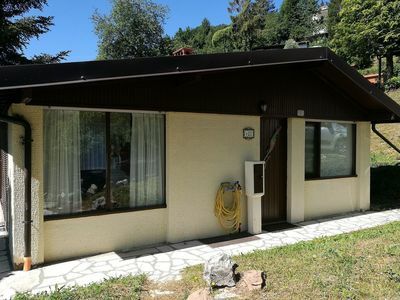 - Security deposit: 200.00 euros. The security deposit will be returned on the day of departure in case of no damage to the property. 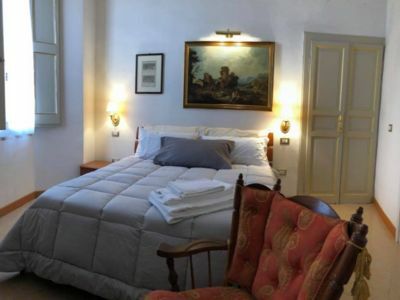 - For stays longer than 7 nights a weekly cleaning fee of 120.00 euros will be required. - Final cleaning 350.00 euros. 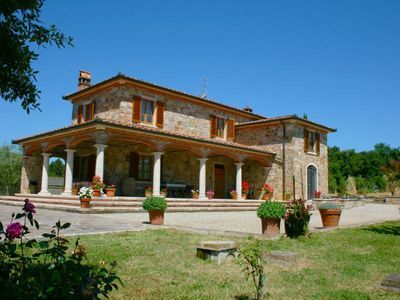 Villa Angelisa B: A characteristic and welcoming apartment surrounded by meadows and by green hills, with Free WI-FI.